An awesome compliment to the Cell for those lanes with a lighter oil condition! The time of reckoning has arrived and the Roto Grip Kingdom welcomes the addition of the newest legend of the land. Bred from the original and designed to compliment its predecessor, the Cellâ„¢ Pearl will reign supreme. The technologically advanced and performance proven Nucleusâ„¢ core delivers continuous predictable motion for all types of bowlers. The Cytoplasmic Xâ„¢ pearl reactive coverstock is a first in the industry with the optimum amount of porosity and enhanced surface friction. The synergy of core and coverstock on the Cell Pearlâ„¢ generates a strong angular move off the spot on those medium to lighter volume patterns with unprecedented predictability. 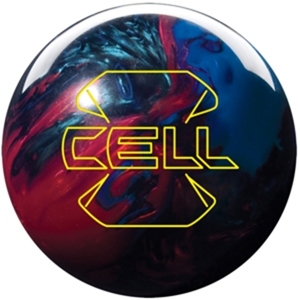 This ball is the ultimate compliment to the original and will surely dominate the entire bowling kingdom. I am left handed with a lower rev rate. My PAP is 4-3/4 left & 5/8" up. For me, out of the box the Storm Gravity with this layout needs oil. When I first used this ball, the house pattern didn’t have enough oil for the ball to skid. Inside, outside the roll on the ball look the same from front to back. It didn’t roll out, it just didn’t carry the corners. I was just about to use some polishes on it, when the house pattern started to have more oil in the middle. So I gave it another try, now the ball has a distinctive skid upfront picks up in the midlane and makes a turn and hits the pins hard. I haven’t used the ball in league yet on a fresh shot, but will be the first out of my bag this week. I’m not sure how this ball will do on the house patterns for me, since I like using weaker coverstocks. 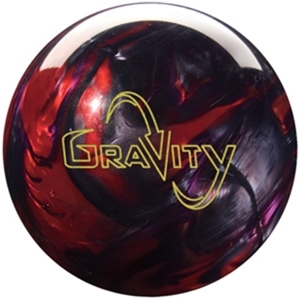 But, this ball will definately be in my bag for Nationals since I always see more out there. Over all if you can’t tell I like the ball but I probably would have chosen a different layout for house patterns. Atleast the ones I come accross.